Ships today if you order in the next 8 hours 50 minutes. 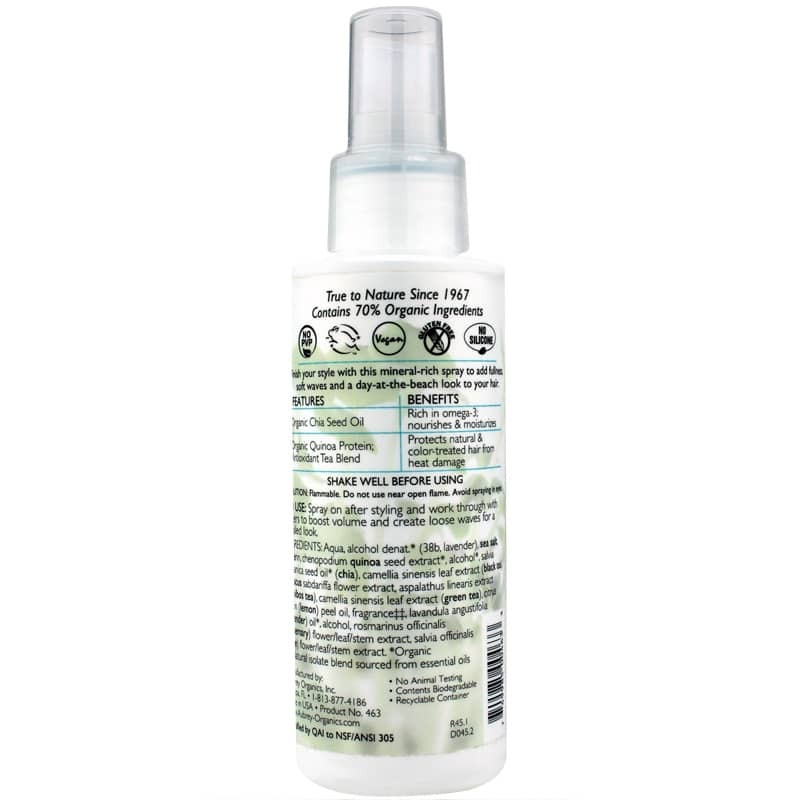 Chia Salt Spray from Aubrey Organics is a light texturizing spray that delivers sea salt and other organic ingredients to give your hair a beautiful beach look without hitting the waves. Natural organic ingredients such as chia seed oil, quinoa protein and an antioxidant tea blend provide support for full, soft hair with a textured, frizz-free style. The unique formula lightly hydrates hair, smoothes hair fibers, and also protects hair from heat damage. 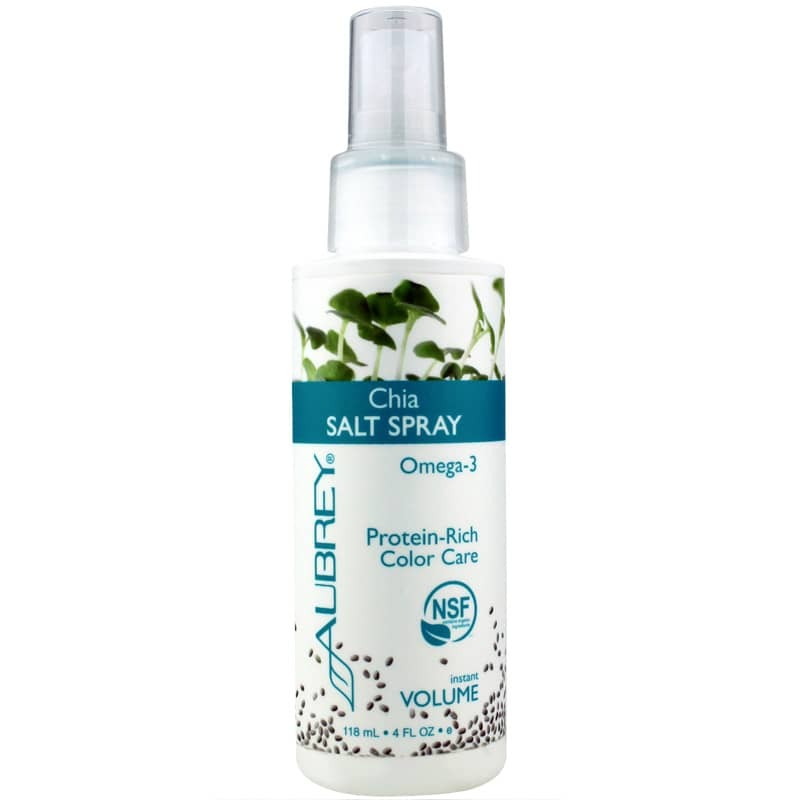 Ideal for all hair types, the spray can even be used on color-treated locks. If you’re craving a sun-kissed, beachy look for your hair but can’t get to the ocean, Chia Salt Spray from Aubrey Organics is the ideal texturizing spray! Shake well before using. Spray on after styling and work through with fingers to boost volume and create loose waves for a tousled look. Flammable. Do not use near open flame. Avoid spraying in eyes. I was sooo sad when Aubrey discontinued my favorite curl conditioning spray that I had been using for years!! It always made my hair so soft and healthy and enhanced its natural curl. I thought I would never find anything else that I would like nearly as much, and I searched for a replacement without much hope, so I bought this one on a whim, as I was down to the last drops of the old one. To my surprise, I actually really like this one a lot! It doesn't make my hair as soft feeling as the old conditioner, but it adds a really nice texture and enhances my curls without being sticky or stiff. Plus I love the smell - so summery! I have only used it in the summer so far, so not sure about winter, but so far I am really happy with this new product. The smell is a little strong, but it's great and organic. Yay!